Another special little item. My new Birdhouse. 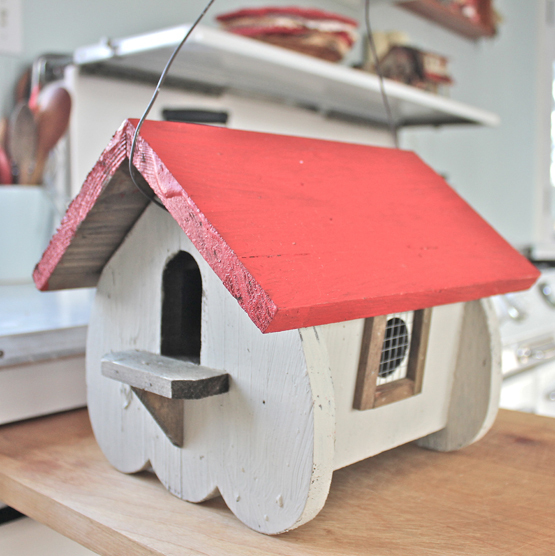 I just got it; I've been keeping it in my studio for the time being -- it could really stay in there forever -- it's such a cheerful little house to have around. When it stops snowing, it will hang in the tree in the garden. It has windows, and a little opening in the back so it can be cleaned out . . . it's really quite perfect. I thought you might like one for your garden, so I got more! Measures 9.5"l x 8"t x 8.5"w.